The Bengal is an exotic looking cat with domestic temperament. 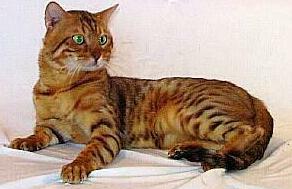 The Bengal's coat is as soft as velvet and shedding is minimal. 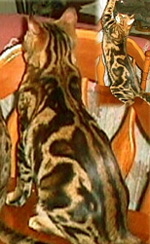 domestic classic tabby pattern to produce a marbleized look. 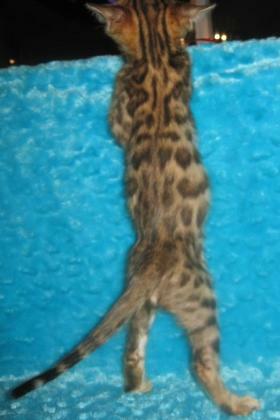 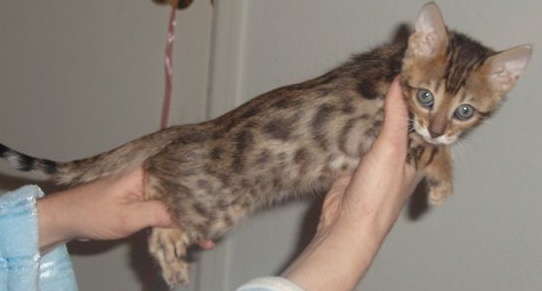 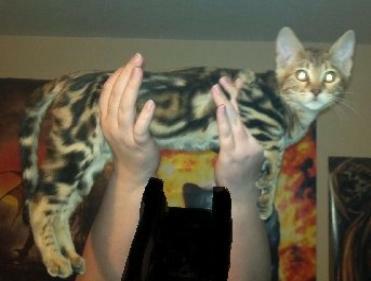 Both spotted and marble Bengals should have a horizontal flow. 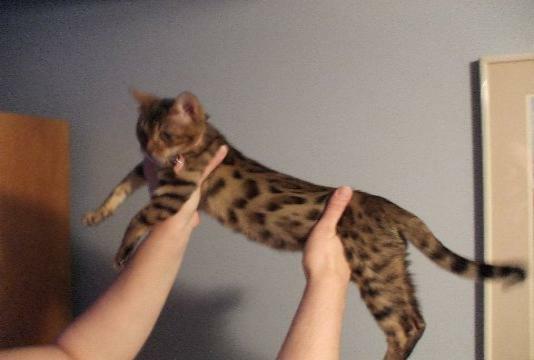 fetching, jumping in the air, shaking hands, ect. 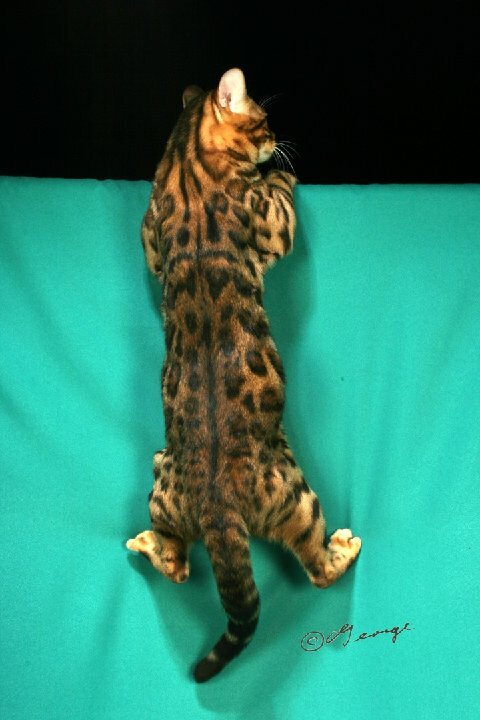 on birds, tree shrews, and squirrels. 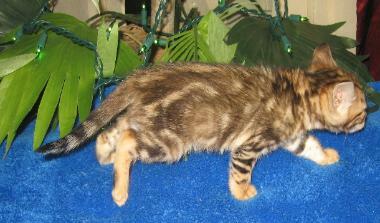 solid or rosetted and sometimes show marbling.